The tastefully designed hotel, newly built in 2009, is situated directly on a sandy beach that slopes gently down to the sea. 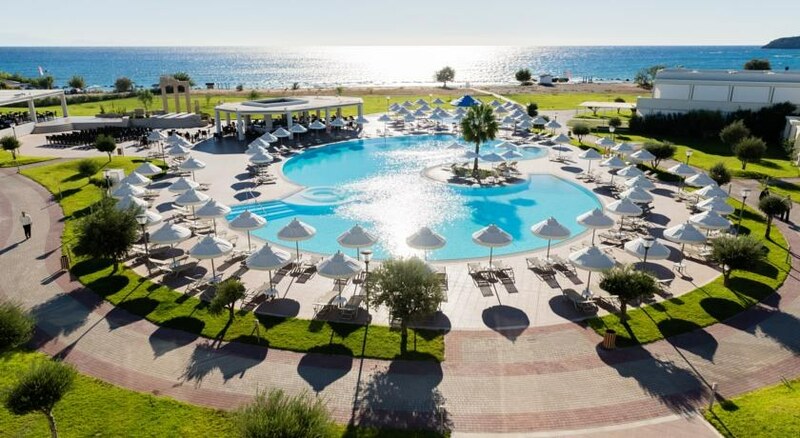 Just 20 minutes from Rhodes International Airport and 15 minutes from the spectacular Medieval City of Rhodes, which is inscribed on the UNESCO World Heritage List, lies the hotel SENTIDO Apollo Blue. Some services may incur a extra charge and be on request. The SENTIDO Apollo Blue Spa is a sanctuary of relaxation, clarity and well being offering a comprehensive range of treatments. Whether you are looking for peace and quiet or to pamper yourself, our team are waiting to help you. 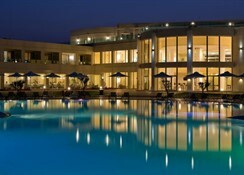 Just 20 minutes from Rhodes International Airport and 15 minutes from the spectacular Medieval City of Rhodes, which is inscribed on the UNESCO World Heritage List, lies the SENTIDO Apollo Blue, Situated in a unique position on the east coast of the legendary island of Rhodes, makes it the ideal destination for those seeking natural beauty and the discreet luxury of a modern hotel. There are 5 types of rooms guests can choose from. Standard Double with Garden View, Double room with side sea view, Junior Suite Sea view (sharing pool), Superior Junior Suite Sea view (sharing pool) and Junior Suite Side Private Pool with Side sea view. All rooms are equipped with telephone, satellite TV, safe, fridge, hair dryer, bathroom, WC, shower cabin, A/C, balcony or terrace. There is option for interconnecting rooms to accommodate families. Junior Suites & Suites are more spacious and offer coffee and tea facilities as standard. All rooms are tastefully decorated and designed to offer luxury and comfort.